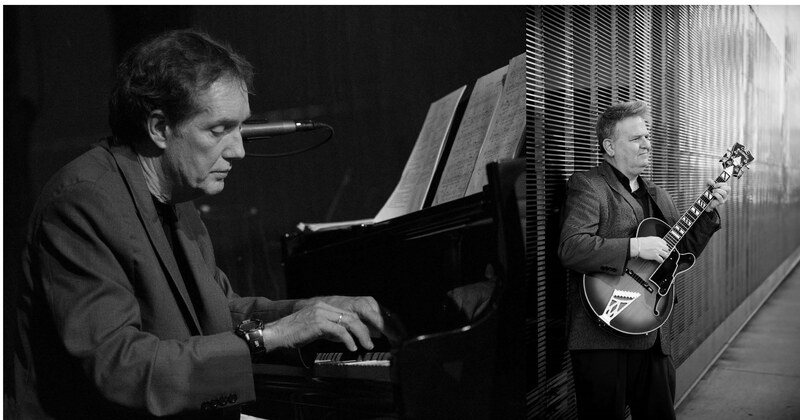 Our guests this week are pianist Larry McDonough and guitarist Joel Shapira. They’re doing a project together in tribute of two famous albums from the 60s, recorded by pianist Bill Evans and guitarist Jim Hall. Evans and Hall released Undercurrent in 1962 and in 1966 released Intermodulation. Larry and Joel will payed tribute to these albums with a show at the Black Dog in St. Paul March 9. They came to Jazz88 to talk about the importance of those records from the 60s and to play some tunes live for us. Larry and Joel play Skating in Central Park, Turn Out The Stars, My Funny Valentine and Darn That Dream.